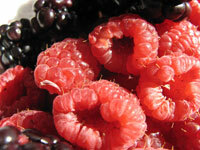 A lot more goes into growing blackberries and raspberries than meets the eye. The resources in this section will get new growers started. Blackberries and raspberries are often referred to as “briarberries,” “brambles” or “caneberries” depending on where you live and what is available in your area. In parts of the East Coast and Midwest, people have fond (or not so fond) memories of harvesting fruit from thorny tangled patches of briarberries or brambles. In the western U.S. these fruits are called “caneberries” because they grow on woody stems called canes. Blackberries and raspberries can be grown in North Carolina. The berries are alike in many ways. They have similar growth habits, they have similar looking fruit (at first glance) and they all taste great. However, there are enough differences in where they can be grown and how to grow them that today it’s common practice to keep their identities separate. 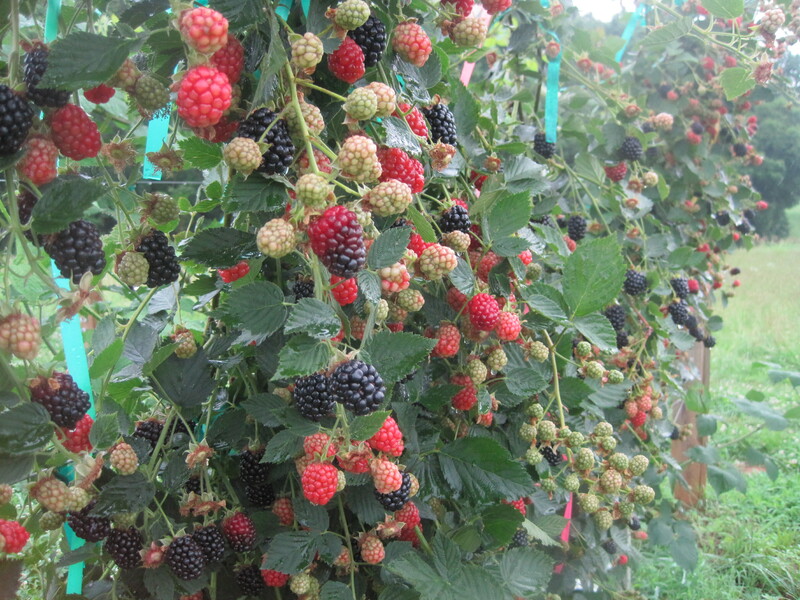 Blackberry and raspberry production has the potential to be a profitable agribusiness. However, new growers should be aware of the investment costs, market potential and cultural requirements before setting the first plant. The resources that will be outlined on this page should be helpful to those considering an entrepreneurial endeavor and those in their first year of production. As we work to post more information here, please refer to the Management tab for interactive budgets and the Production tab for valuable cultural information. Check back often for new resources.